[trip style = budget conscious] You’ve all heard about Groupon, right? If not, it’s an online social coupon site where companies list their goods and services---from teeth whitening to restaurant discounts---and consumers buy the offers, usually at a substantial discount. Now, there’s an app for that. Groupon isn’t a travel app, per se, but it can enhance travel in cities where Groupon is present, so we’re going to talk about it. A few weekends ago my husband and I went up to Whistler. We planned on using a Groupon we purchased to dine at the Rim Rock Cafe. Right before we got into town, we realized we’d forgot our print-out of the Groupon---the receipt you need to present to redeem the offer. But then we had a brain wave: there must be an app for that! Turns out there was. So we logged into the app and saw Groupon purchase history. Once at the restaurant, we applied the Groupon to our meal by clicking on “use this groupon” and showed the waiter our code. It was easy, and we saved paper. If you’re about to travel, download the Groupon app to see offers for the city you’re about to visit. 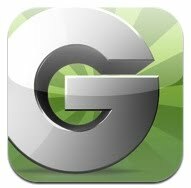 Groupon even offers hotel packages, so you could save a boatload of money Grouponing while you travel between restaurant, hotel and tourist attraction discounts.